somehow, there is still a stoic beauty. Thank you to Brian for capturing their elegance. 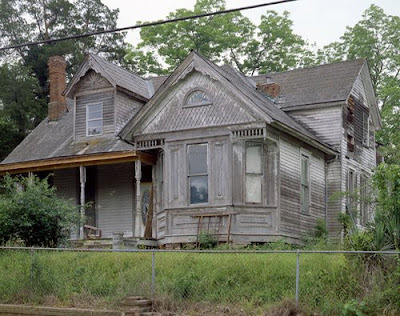 When I was a child near my parents vacation home there was 3 abandoned houses that fascinated me, and I used to imaging the stories of such houses. Gorgeous. Thanks for posting the pics, Linda. 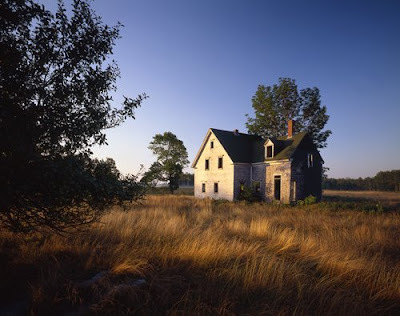 I've always had a fascination with old abandoned houses. I usually break in and walk around inside to imagine the inhabitants of years past. Each and everyone of this homes are simply gorgeous. If I look real close I can almost see and hear the families that once lived in them. This breaks my heart to see abandoned homes- to know at one time there was laughter, at times saddness protected within the walls of these grand homes. I wish I could gather each and everyone of these homes in my hands to bring them back to life. Thanks for sharing my friend, once again a wonderful post! You do have to wonder about the families that called those houses home, don't you? Kind of like an estate sale. Memories and yet abandoned. These photos are amazing. They look "quiet". This is beautiful Linda. I've been "collecting" abandoned places for awhile and always wonder about the stories behind these structures. these are fantastic shots Linda. 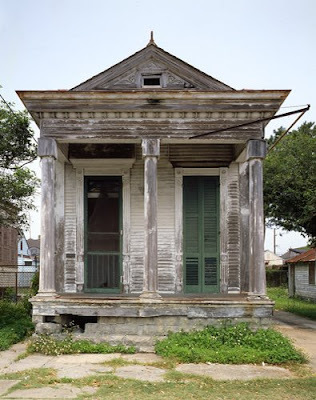 Abandoned houses make me melancholic and it would be so nice if some rich entrepreneur had the whim to restore them! So...I'm not the only one that was drawn to these old souls? figured it could just creep many people out...especially with the economy and all. Mango...I like how you described them as quiet. They do kind of whisper to you, don't they! I love these photographs. The houses look as tho they are sleeping or waiting. Wouldnt it be fun to wake them up! Wow. Wouldn't you just love to know the story behind each and every one of those houses? The first and the last particularly captivated me. 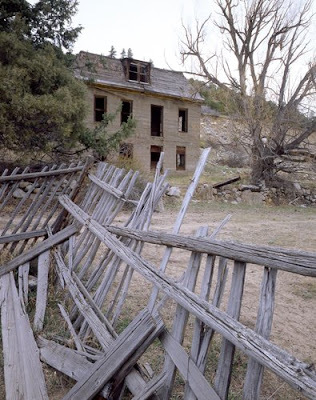 I wonder if the last occupants knew when they left that they would never return? A perfect October post, Linda! These are some of the most amazing photos!! Such beauty, so much history. Oh the stories these homes could tell. LOVE it. Those pictures make me so sad! I think of who must have taken care of those houses and what they feel if they saw them now! So hauntingly beautiful - my daughter (17) wanted to do this very book. There is a sad beauty to them all. Its so sad, those photos. Great shots, eh? Totallly emotional to me for some wierd reason tonight. Beautiful pictures. 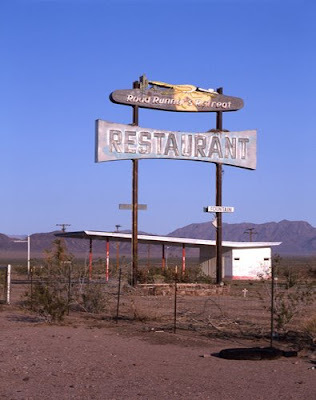 The one that makes me feel lonely is the old restaurant one. 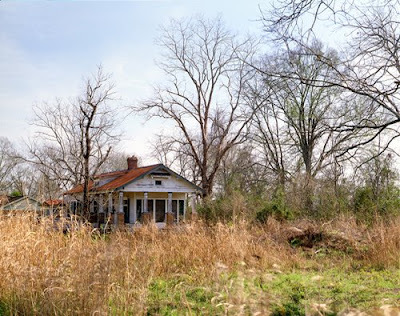 The last one kinda reminds me of the old house of Jenny's in the movie Forrest Gump. Great post - wonderful photos. 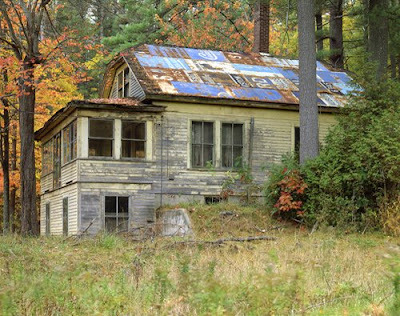 THose are some great abandoned houses... they all need a little tlc! They are beautiful. I wish I could adopt one. Or two. 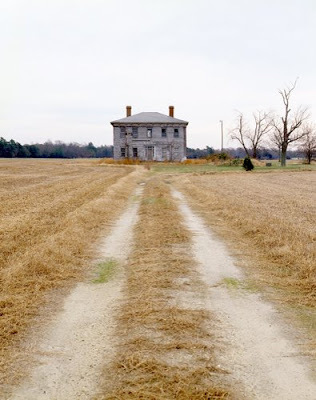 There is something about abandoned houses like this that are very moving. 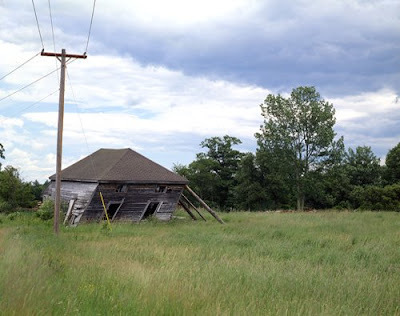 I was born in rural Southern Illinois and abandoned homes and barns were a common sight. Right next door to my grandmother's house stood an old, green house that had been abandoned and was slowly collapsing in on itself. I always thought the empty buildings were fascinating--and spooky! Just seeing these photos takes me back to my childhood and peering into those dark windows, wondering if there were any ghosts living inside. Oh my, I can't breathe. I am going to blog this on my blog. A Rental Living Room Gets a Makeover! Close your eyes and dream...no...open them.